May The Fourth Be With You… As The Dirt Track At Kern County Raceway Fires Back Up For Another Episode Of Friday Night Lights!! This Friday Night It’s Round One Of The Motor City United Series For The B-Mods! Racers Will Battle It Out At The Two Local Dirt Tracks On Two Nights For Big Bonus Money From Motor City GMC! Joining The B-Mods Are The A-Mods, Mini Mods, And The Future Stars Of Racing The Mini Dwarfs! And It’s May The Fourth! May The Fourth Be With You! Come And Meet The 501st Legion! Characters From Your Favorite Movie From A Galaxy Far, Far Away! Wear Your Favorite Gear From The Movie And Receive Two Dollars Off Your Admission Ticket! And We Battle The Dark Side With Five Dollar Beers All Night! Tickets Are Just Ten Bucks!!! Twice the risk. Twice the reward. 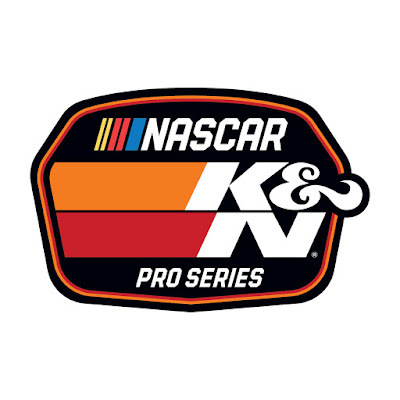 That’s what’s on the line Saturday, as the NASCAR K&N Pro Series West returns to action at Tucson Speedway. The venerable .375-mile Arizona oval will play host to the Port of Tucson 100s — a pair of 100-lap sprints with championship points on the line for both races. Last year, the twins were at Irwindale Speedway in southern California, and Todd Gilliland swept them as the middle of a four-race win streak that gave him the championship lead he would never relinquish. Tucson offers the opportunity for one of this year’s title contenders to do the same. 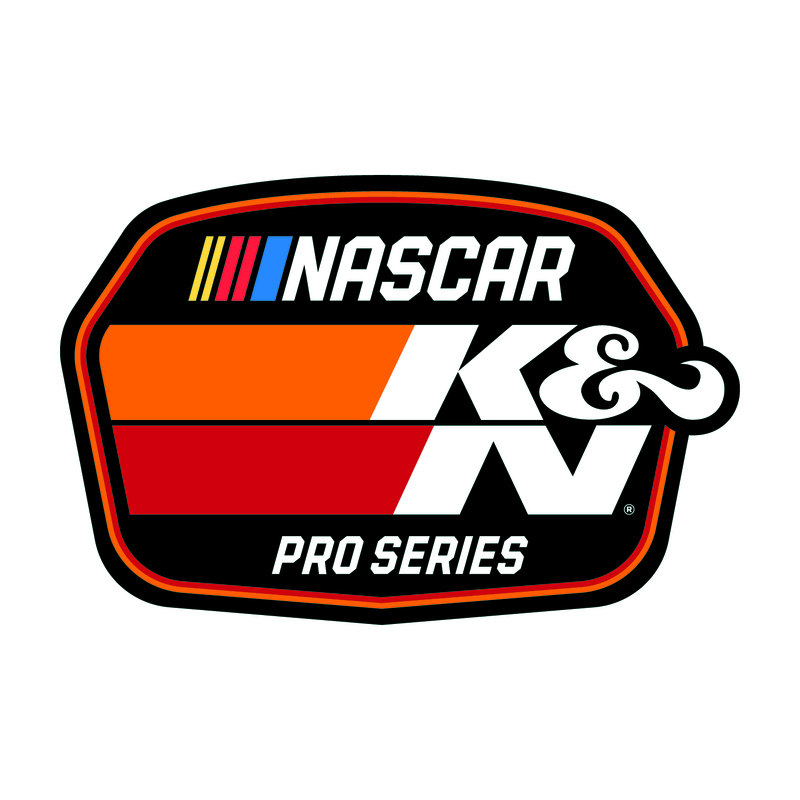 Derek Kraus got the jump on the competition in what is expected to be a tight, season-long battle for the NASCAR K&N Pro Series West championship when he grabbed the season-opening victory at Kern County Raceway Park in California. The 16-year-old from Stratford, Wisconsin, will be challenged to maintain that hold on the top spot with a pair of 100-lap races Saturday at Tucson. Kraus finished sixth in his only previous start at Tucson last year. 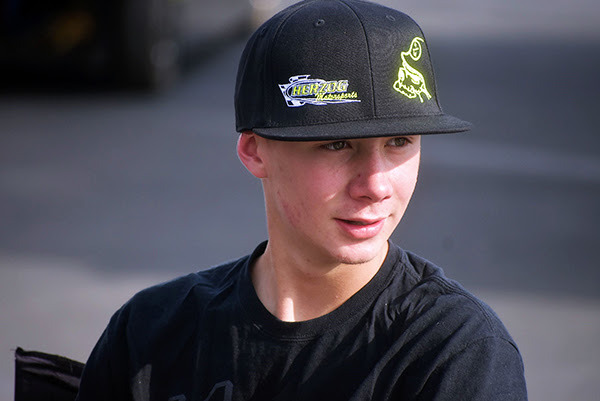 Ryan Partridge won the 2016 event at the track and was fourth in 2015, while teammate Bruncati Racing teammate Derek Thorn was second in this year’s opener at Kern and will be making his first K&N Pro West start at Tucson. Kraus’ Bill McAnally Racing teammate, 19-year-old Cole Rouse, has a fourth-place finish (2016) at Tucson, and Will Rodgers is a late addition in the No. 4 for Jefferson Pitts Racing. Rodgers, 23, was fifth at Tucson in 2015. The twin 100-lap format allows for drivers to double up with a good day, but if misfortune should strike, it can be twice as painful in the points standings. With a tight pack of numerous drivers vying for the title, the points could swing considerably. Throw in the short distance, drivers will have to be up on the wheel at the drop of the initial green flag. These are all ingredients for an exciting Saturday night. EVENT SCHEDULE Saturday — Garage opens: 10 a.m. MT; Practice: 12:45-1:30 p.m. and 1:45-2:30 p.m.; Group qualifying: 4:45 p.m.; Port of Tucson 100 (first race): 7 p.m. & 9:30 p.m. CREW CHIEF HANDOUT: The maximum starting field is 24 cars, for each race, including provisionals. The first 20 cars will secure starting positions based on the two-lap qualifying session for the PORT OF TUCSON TWIN 100 RACE 1. The remaining four spots will be awarded through the provisional process. return to the track or make any further qualifying laps unless directed to do so by a NASCAR Official or in the event of a caution. If a vehicle returns to pit road, the vehicle’s qualifying attempt is complete. Starting positions for the PORT OF TUCSON TWIN 100’S RACE 2 will be determined by each car’s best lap time during the running of the PORT OF TUCSON TWIN 100s RACE 1. Each of the PORT OF TUCSON 100 events will be 100 laps (38 miles). Wenatchee, WA (April 30, 2018) Tayler Riddle (Naches, WA) is no stranger to the winner’s circle. He’s won some of the biggest and richest races in the country. Riddle was faced with some stiff competition getting to the front in the 4th Annual Leonard Evans 150 at Wenatchee Valley Super Oval. It wasn’t until lap 85 that Riddle was able to take over the lead for good in his bid for the 2018 championship. Riddle becomes the only two-time winner of the Leonard Evans 150 event honoring the late father of Garrett Evans. 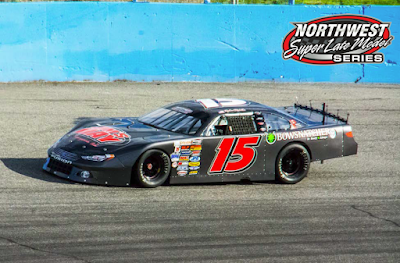 The Northwest Super Late Model Series Inc. (NWSLMS) 2018 season kicked off Saturday with qualifying for the 23-car field. The top qualifier was 2017 Season Champion Brittney Zamora (Kennewick, WA) with a lap of 12.741 seconds. Eight cars qualifying in the 12.7 second bracket set the pace for the day. Zamora drew a ten-car invert for the start of the feature event. The pace to the green flag was set by Jan Evans (E. Wenatchee, WA) and Mitch Kleyn (Quincy, WA). The youngest Evans, running a brand-new car and sporting a new number “5”, would take the lead and hold it for the first 46 laps. Riddle and Kleyn would make the inside pass, putting Evans back to third. Riddle continued to lead until Mitch Kleyn made an impressive pass on a restart from the outside to take over. Riddle would keep pace with Kleyn and finally regained the lead for the final time to take it to the checkers. Evans made an outstanding save while running third after contact racing with Kleyn. Evans lost only one position to Zamora in the melee. With her sites set on Riddle, Zamora would start reeling him in and making up ground in lapped traffic. After contact on a restart, Zamora and Kleyn would have a great battle before she took the second position for the final time at lap 128. Riddle took advantage of their battle to put distance between them. Rookie contender, Trenton Moriarity (Monroe, WA), making his first start on the NWSLMS Tour, made a remarkable comeback after spinning in the early stages of the event. Moriarity, who restarted 22nd, battled his way through the field to take the third. A late race caution set up a Green-White-Checkered finish. With the fans on their feet, Riddle was able to get the jump on Zamora to the finish line, and Moriarity was able to clear Kleyn for the third and final podium position. Logan Jewell (Agassiz, BC, Canada) finished fifth. Zamora will leave Wenatchee with a 1 point lead over Riddle. The next NWSLMS Tour event is June 2 at South Sound Speedway. Ron Ward of Ward Land Management and Development (WLM&D), will be increasing his 2018 sponsorship for the North State Modified Series, presented by Protect the Harvest, for the entire racing season. Last year his other business, Ward Ranches, donated $250 to the winner of the modified feature events, boosting the first place money from $1000 to $1250. Ward will continue to donate $250 to the winner, plus he will add $150 to the second place finisher this year, bringing that payout up to $850. In addition the WLM&D fast time award has been established and will pay $100 to the fastest qualifier at each event. Ward hails from Sparks, Nevada and specializes in commercial, industrial and residential land management and development. In addition North State Modified Series is continuing its partnership with Lucas Oil and Protect the Harvest. Protect the Harvest was created by Lucas Oil founder Forrest Lucas to defend and preserve the freedoms of American consumers, farmers, ranchers, outdoor enthusiasts, and animal owners. Lucas Oil will once again fund a tow-money program for the drivers whereby the top 10 points leaders will each receive $200 upon arriving at the race track, and 11th through 15th in points will get $100. It will begin at the second NSMS event at Redwood Acres Raceway in Eureka. The Lucas Oil Dash for Cash will also continue, paying $100 to the winner and $50 to second place in the six-lap race. The North State Modified Series opens its 2018 racing season at Shasta Speedway in Anderson, CA on May 12. NSMS modified rules, procedures and other information are available at www.northstatemodifieds.com. The North State Modified Series is also presented by: Hoosier Tire West, Sunoco Race Fuels, Naake Suspension, Five Star Bodies, Racer Bling, Keyser Racing Products, and Scribner Plastics. CLOVIS, CALIFORNIA (May 1, 2018) – Clovis’ Austin Herzog, 15, has taken the lead of the prestigious RPM Mortgage Pro Late Model standings at Madera Speedway after the series completed its third race on Saturday. Herzog was the 2017 Rookie of the Year in the MAVTV-televised division in his #11 Late Model. Herzog advanced into the Pro Late Model division after winning six 51FIFTY Junior Late Model Series races at the track across 2016 and 2017. He also has one NASCAR K&N Pro Series, West start in his career with a top-ten finish along with four Super Late Model top-tens in five SLM starts. The $5,000 to win season opener in March saw Herzog qualify sixth and finish fifth in the 80 lap race on the one-third mile oval. Herzog came closest to victory in round #2 on Sunday April 8th. Herzog went toe-to-toe with Madera’s all-time winningest driver Matt Erickson. Herzog set fast-time in qualifying and led 15 laps of the race. He engaged in a constant battle with Erickson until six laps to go when he spun while challenging for the lead. He had to settle for an eighth place finish. Herzog’s drive on Saturday in the third race of the year was perhaps his strongest. He was an innocent victim in a multi-car crash at the start of the event. Undeterred, he chipped away at the field and cracked the top-five for the lap 40 halfway break for MAVTV interviews and car adjustments. He continued to advance coming out of the break, putting on a great battle with Jack Wood for the second position. With six laps to go, Herzog took over second but he ran out of laps to reel in race leader Blaine Rocha. His third top-ten of the year, in a series averaging over 30 cars per race, was enough to propel him into an 11 point lead over Matt Erickson in the standings. Race fans can keep up on all of the action for Austin Herzog Motorsports at www.AustinHerzogMotorsports.com Austin Herzog Motorsports can also be found on Facebook and Twitter. Eureka, CA (April 30, 2018) – Rain delayed what was supposed to be the season-opening race on April 28th at Redwood Acres Raceway. Thankfully, it will be a quick turnaround for racers and fans as RAR officials were able to swiftly maneuver the first race of the year to this Saturday May 5th. As was originally scheduled, Root 101 Nursery is the title sponsor for the event. As per usual, all six of the Acres’ divisions will be in action. Of particular note are the bandoleros which will be making their debut on the 3/8-mile paved oval. The Super 6 Late Model Series will also have its first race of the season. Teams in all of the divisions will have a quick turnaround with Pepsi Night at the Races on the docket for May 12th. 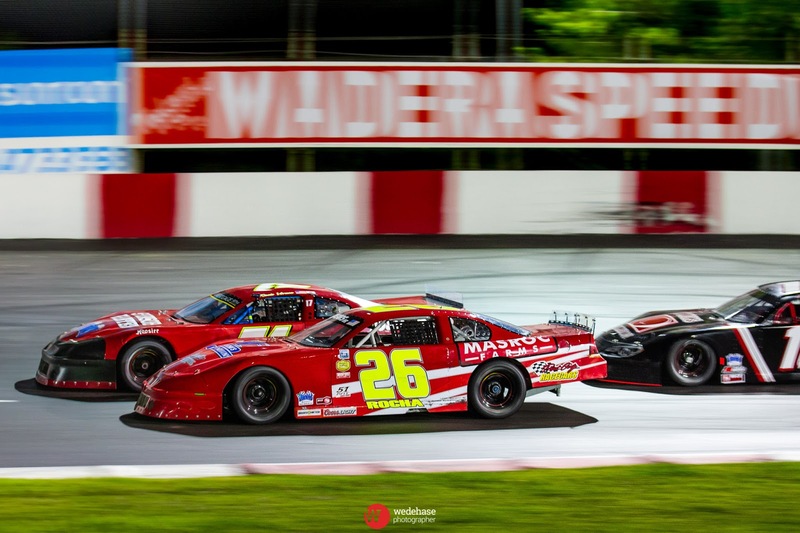 MADERA, CALIFORNIA (April 28, 2018) – A full moon and tight track conditions led to a wild night at Madera Speedway for round #3 of the MAVTV-televised Late Model racing. Blaine Rocha claimed his first career RPM Mortgage Pro Late Model 80 lap feature. Rocha led the final 12 circuits for the win while Dylan Zampa won his second 51FIFTY Energy Drink Jr. Late Model race on Saturday as well. Bakersfield’s Racin Vernon was perfect all weekend, leading both practice sessions and taking the fast-time in qualifying. Vernon continued the good luck when he drew the pole position in the redraw as well. Vernon started alongside fellow Bakersfield racer Jacob Smith, with Vernon taking off with the lead. Smith’s run slowed early as he was spun by Glen Cook into turn one on the second lap, with the spin leading to Logan Zampa suffering significant front end damage. Austin Herzog and Adam Lemke also had to pit for repairs. Vernon led the opening three laps before Rocha took over for laps four through six. A caution on lap seven came out when incoming points leader Matt Erickson spun and both Christian Roche and Zampa grabbed some damage in the melee. Vernon took over the lead on the restart and proceeded to pick the outside line the rest of the evening on restarts. Rick Thompson had advanced from 13th to seventh by that point and continued to move forward as the race saw four more incidents before lap 31, when Quintin Harris stopped in turn three with right front damage. Erickson stalled on the front stretch and was out of the race with an apparent problem on the left rear. 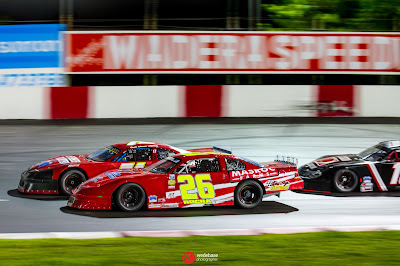 Garland Tyler and Jack Wood began their duel for third on the restart in a battle that would continue on for many laps throughout the feature. Herzog emerged into the top five before the halfway break as well. Vernon led Rocha across the line at the lap 40 break while Tyler led Wood by a nose with Herzog fifth. After a break for adjustments and MAVTV interviews, the second half resumed with Vernon driving away while Herzog took over fourth from Tyler. Rocha remained on Vernon’s bumper as the top-two ran around the outside of the race track. Herzog took up the battling with Wood for third position before the punctuation mark of the race on lap 58. Vernon spun on his own entering turn one to surrender the lead and force the second half’s only caution flag. Rocha took advantage, assuming the lead and driving away from Wood on the restart. Herzog never relented and got around Wood for second with six laps remaining. Rocha drove to victory by five car lengths over Herzog and Wood. Adam Lemke charged back to pass Garland Tyler for fourth as well. With Erickson failing to finish, Herzog assumes the points lead before the upcoming Military Tribute Night on May 26th. The drivers ages 10-16 years old in the 51FIFTY Energy Drink Jr. Late Models had a dynamic 70 laps as well. Jesse Love IV, winner of round #2 and the 2017 champion, looked poised for victory before a grinding crash ended his efforts. Love qualified fastest and started on the outside pole alongside 2018 points leader Tanner Reif. The first caution flew on lap five for Olivia Manke spun out in turn four. The caution flew again on lap 13 when Anthony Guiamano spun in turn two from the fourth position. Love picked the inside of Reif on each successive restart attempt. Las Vegas’ Tyler Reif spun in turn one on lap 16 and Manke suffered hard contact with both Kyler Berry and the outside wall to end her evening. Dylan Zampa aimed inside Tanner Reif for second place before spinning as he tried to go three wide underneath a lapped car. Kayla Eshleman swooped around Austin Edwards to take third while Jesse Love led Reif into the lap 40 scheduled break. Racing resumed with 30 laps to go and saw a large crash end the day for several cars. Reif edged forward on Love coming to green. Heading into turn one, Love and Eshleman made contact sending Love up the hill into Reif. Reif spun and the field scrambled. The resulting incident saw Love have a brief fire as he hit the backstretch wall, with Guimano spun around backwards into the wall as well. Reif, Love, and Guiamano were all done for the night. Eshleman was relegated to the rear of the field with third year driver Austin Edwards assuming the lead. Zampa moved inside Kabe McClenny for second quickly. Four laps later, Zampa took the lead from Edwards and started to stare down his second win. Eshleman knifed through the pack to challenge McClenny for third with Tyler Reif in the mix as well. Reif moved past them both and closed down on Edwards for second. Reif spun on his own after taking second on lap 66, setting up a four lap run to the finish. Zampa motored away to victory with Eshleman inheriting second when Edwards faltered with a flat tire. Kyler Berry completed a great comeback to finish third in his second televised start. Wastonville’s Lilly Mead managed to get past Kabe McClenny for fourth as well. Bakersfield’s drivers continued their perfect record in the Mini Cup vs. Bandoleros series, but it was a new young lady taking the helm of the Bando class. Riley Massey overcame a mid-race penalty to charge to victory. Massey used her horsepower in the larger Bando car to advance from fifth after the inversion. She went straight to the lead over a pack of four Mini Cup cars before the field made it to turn one at the start. Massey held that lead until the first caution when she was penalized for jumping the start. Kale McClenny won the first two Mini Cup races and assumed the overall lead as well before Massey made her move forward. Massey drove away to a comfortable Bandolero victory while McClenny was part of a great Mini Cup race with Aaron Thomas. The duo went side-by-side across the finish line with McClenny taking his third Mini Cup win by just .005 seconds. Joseph Holliday rounded out the Mini Cup top-three while Zachary Ginn of Bakersfield finished second in the Bando class. Joshua Whitfield made his triumphant return to the Hobby Stock division by taking the 30 lap feature as he drove away from Thomas Suarez. Steve Schermerhorn rounded out the top-three. 2016 Toyota Sedans champion Jillaun Holden recovered from an early spin to get her third Toyota Sedan victory of the season and extended her points lead in the process. A caution with two laps to go for Kyle Labre spinning set up a thrilling finish. Rookie Greg Tyler made a valiant effort to jump to Holden’s outside coming to the line. Holden held on by a scant .007 seconds with Tim Curtis debuting a new car for a third place finish. Madera Speedway continues racing next Sautrday with the Vukovich Classic / The BCRA Midgets, NCMA Sprints, CSS/360 Super Modifieds, Legends of Kearney Bowl, Senior Open Vintage Super Modifieds, California Hard Tops, Vintage BCRA, USAC Western Midgets, Legends of the Pacific.